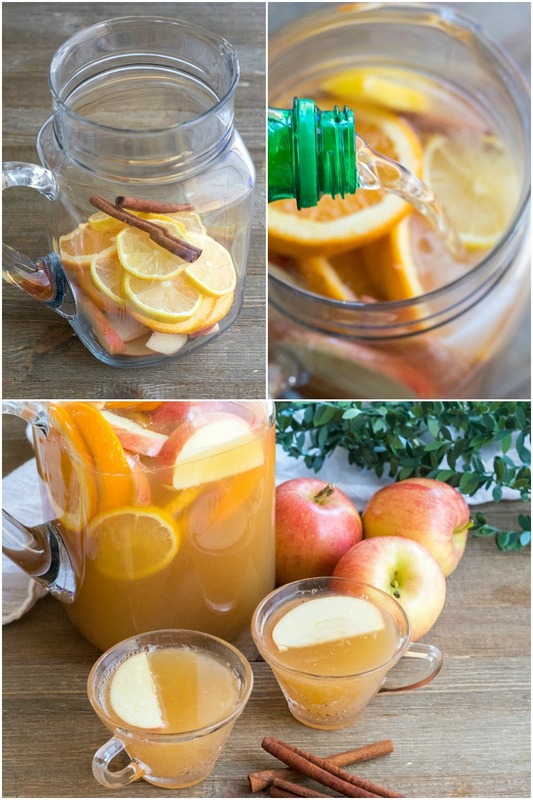 Ginger Apple Cider Punch is an easy drink perfect for any occasion! 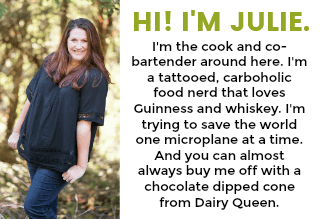 Make it family-friendly or spike it for an adults-only cocktail everyone will adore! I don’t know what it is about apples, but they’re always been my favorite fruit. 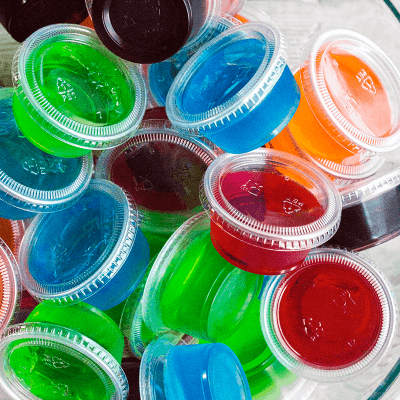 Sweet, crisp, and colorful, they’re just the best! So when I wanted to make a new punch for the family to sip on I knew anything apple based would be a hit. (The boys are totally into apple juice.) Ginger Apple Cider Punch is super easy to make with ingredients you can find at pretty much any grocery store. Grab your pitcher and let’s mix up something delicious! Ginger Apple Cider Punch starts simply with good apple cider (the cloudy stuff), ginger ale, and a splash of lemon juice to brighten things up. 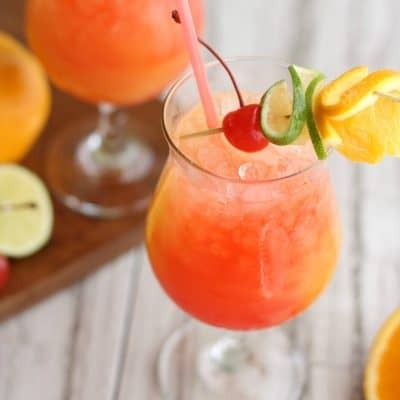 Pour all of them into a pitcher with fresh apple, orange slices, lemon slices, and a couple cinnamon sticks and you’ve got a punch everyone will want the recipe for. Now, I like to spike this punch with whiskey or bourbon. The whiskey really deepens the flavor of the punch and pairs fabulously with the apples and ginger. AND If you can let this punch sit for a bit the punch gets even better, but you can serve it right away too! Since not everyone is a boozehound, please know that this punch is really great without any booze and is a hit with kids and adults alike. My favorite time of year to serve this punch is over the holidays (to pair with all those baking spices), but its classic flavor combination makes it great any time of year. 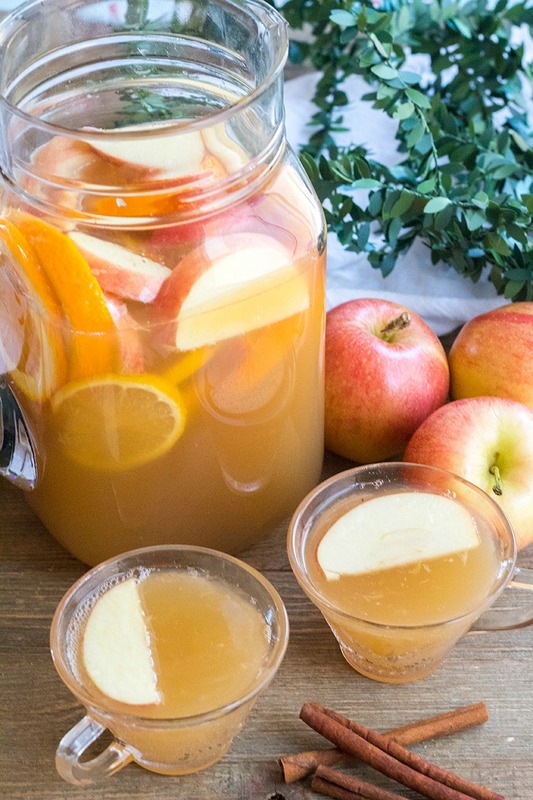 We especially like this apple cider punch for the 4thof July and serve it up in a big punch bowl. Make this punch, take a sip, and get hooked! Core apple and cut into thin slices. Cut orange and lemon into thin slices to create wheels, and discard ends. 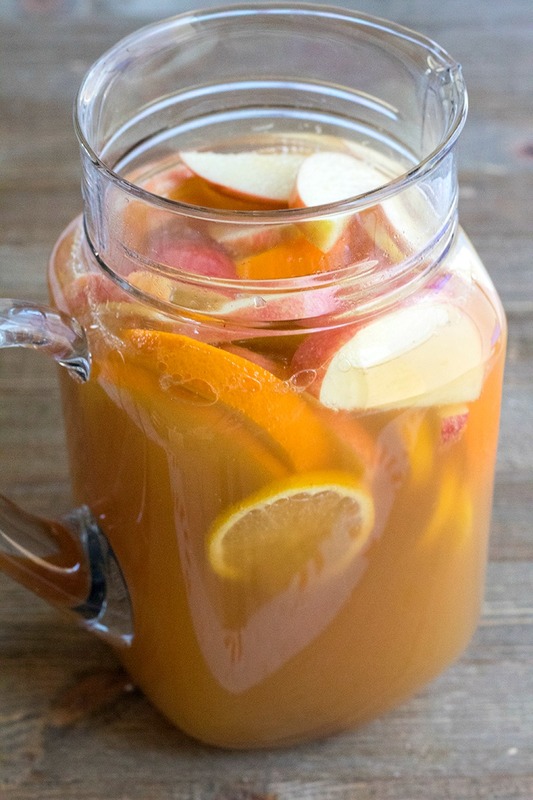 Put fruit slices and cinnamon sticks into a 2.5-quart pitcher. Pour apple cider, 2 cups ginger ale, lemon juice, and whiskey into the pitcher. (If omitting whiskey, increase ginger ale to 3 cups.) Use a wooden spoon to stir everything together. Refrigerate the punch for at least 1 hour to let the flavors marry together. Pour punch into glasses and garnish with an apple slice. This punch can be made with or without alcohol and tastes great either way. If you're in a hurry, you can serve this punch immediately, but it tastes better if you let it sit for a bit. Instead of booze, maybe try a commercial hard cider or leave your cider outside in very cold temperatures. Below zero is best. What does not freeze is alcohol. Do you have good freezer? (Do no use a glass container.) That is a method used since we started growing and pressing apples.